I found The Palms for Grandma, and she's moving there in two weeks. I like the staff, the price, and the homey feel to it. They serve three meals a day and have a lot of activities available. The staff has been very helpful, friendly, and answered all our questions. Laundry and cable services are included in her package. We have selected the Palms of Lake Spivey. It is a lovely place that has everything I needed for my mother. They are wonderful. I looked at nine or ten places and this is the one that my siblings and I felt would best meet our mother’s needs. She is enjoying it and enjoying meeting the people there. The staff is lovely. She likes the food. It is restaurant style, and she has options, so she is happy. The Palms at Lake Spivey was really nice. It is almost all-inclusive such as your utilities are included, 2 meals a day like lunch and dinner, transportation to hospitals that are really close, or just any kind of situation. You get maid service once a week, and you get a kitchen and a 1 or 2-bedroom, so it was just really nice. They have a library and different activities. They have movie nights, they have a bus that takes people to the different stores and to the malls, and they have scheduled activities that people want to do as a group. The guy who gave us the tour was really nice. They have a really nice staff, and their customer service is great. The Palms has great potential, but desperately needs better management. The property is nice and the rooms are great; however the food service, nursing staff, front-desk staff and overall property management need drastic improvement. Given the price that people pay, I have been VERY disappointed with how this property operates. I am the Executive Director and would very much like to meet with you to hear your thoughts. At The Palms at Lake Spivey we desire to exceed the expectations of our residents and families and I apologize that your experience to date has not met that standard. Please get in touch with me as we would very much like to discuss that experience. We are confident that with open communication and feedback we will continue to provide quality care and also stay focused on consistent and ongoing improvement. The Palms was very nice, it was clean, and they had a lot of amenities. It was very expensive. It had a library, a gym, and an exercise room. I looked at a 2-bedroom, and it was very nice. It was in a good area, and you could get out and walk around and not feel fearful for your life. Palms of Lake Spivey was wonderful, but I couldn’t afford it. I loved it; the rooms and apartments were absolutely great. The food and the dining area were excellent. The staff was accommodating and wonderful. The Palms was a very nice place with a lot of amenities and game activities. We saw people participating in some type of activity. I liked that they had a swimming pool. It seemed like it was more acclimated for children to visit. It was nice, but they had two floors and I could see my father getting lost in there. The Palms at Lake Spivey used to be very good, but now it’s not. The food has gone downhill. The other problem with the Palms is that it ook them a week to get my dad a light bulb, and maintenance used to get it right on the same day or the next. The food’s taste and quality is now way down, and the portions they have is something that you would eat with chowder at a high school, instead of an adult meal. Most of the people they serve don’t really eat a lot; however, when my dad asks for more, they give him a hard time about it. He goes to Bible study there 3 times a week and also plays Bingo. In the summertime, he gets to the pool. He gets on the bus and goes to Wal-mart sometimes. The staff used to do a lot more. He used to be part of a Men’s group, and they would plan two activities and go out, but now the Palms say that they can’t afford it anymore. They’ve raised his rent twice in the last two years. They keep raising the rent and yet can’t afford to do anything. It’s actually gotten worse. We’ve already written a letter to their management, and they failed to address the problem. And because we had complained, they got worse in their treatment. I went in there again and told them that if they don’t improve the place, we’re not going to leave. Instead, we’re going to make sure they get fired and replace them with people who know what they’re doing in there. "Daniel, Thank you so much for your input. Palms of Lake Spivey and all of Five Star Senior Living communities offer a variety of activities and programs designed to encourage spiritual, mental and physical well-being of our residents. We encourage you to reach out to our Lifestyle360 director at the community and visit our web site with outlines of the program: https://www.fivestarseniorliving.com/the-five-star-difference/lifestyle360 Furthermore, Five Star Senior Living has been striving to redefine the dining experience in senior living communities. From the start, our goal has been to provide an exceptional dining experience that gives our residents options Ð from decadent comfort food to healthy choices, please reach out to our Food and Dinning director and voice your suggestions , you can always call our toll-free GOLD Customer Service line and we will ensure your concerns are heard: (877) 349-5349." I liked The Palms, and the rooms were very nice. It was very clean, and the staff that I am in contact with are very nice as well. They offer a lot. The dining area is clean and we had lunch there. The location and price range is a factor to us, too. Palms of Lake Spivey was a nice facility but had too many floors. For the elderly, I think that three floors like that is a bit much. It’s more resort-style and very expensive. It’s just not for the average person. It had a swimming pool. It’s just too elaborate for me. I like something that’s more homey. It’s in a good location, and everything about it was nice. They had a workout gym and a gorgeous dining facility. Everything about it was very nice. I like everything about The Palms at Lake Spivey. The only downside was the rooms were small. Other than that, it was very, very nice. We did eat lunch there, and we looked at a menu, and there were items on there that we could eat because we are both diabetic. The outside view was nice as well. I visited Palms of Lake Spivey. The sanitation was very nice. It was clean, and the few people that I met were very nice. My interview was good. It was really lovely. The rooms were very nice and clean. You could move in your own things. It felt independent and homey. The staff was very friendly, and they answered all of my questions. I thought they were playing bingo when I came, and I liked that they had a whole chart of everything that they would do daily. They took the residents out for shopping. That was very cool, and I liked that. I was very impressed with The Palms at Lake Spivey. 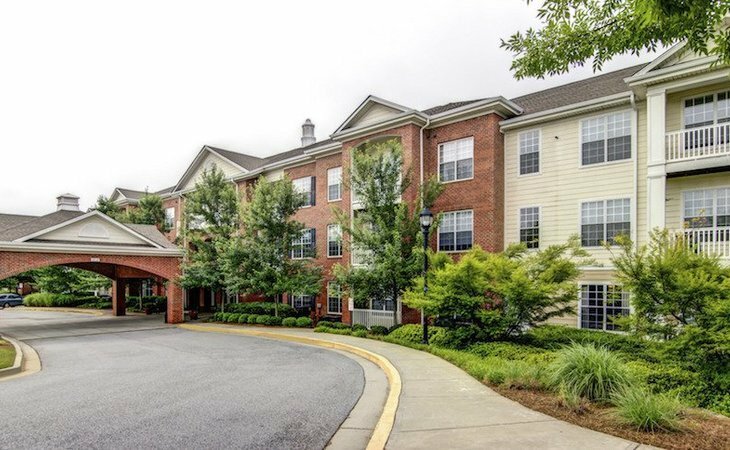 I was impressed with the price, the amenities that were there, the accessibility to shopping areas, the size of the rooms, and how you can transition from independent living until nursing home if need be. It was really upscale. Our visit at Palms of Lake Spivey was very good. We liked it, and they were very helpful. Palms of Lake Spivey was very nice, well-kept, and spacious. The staff was nice too. The rooms were homey and spacious. The setting was nice; they had an exercise facility and a pool. It’s not a gated community, but it is comfortable. The Palms at Lake Spivey had excellent service. I would have recommended it for my aunt, but she is going back to Florida. I toured the entire place, and it was really nice. I was very satisfied with it. The Palms of Lake Spivey was a cut above the rest. That was a very nice facility. Aesthetically, it was very appealing. They way it was laid out, it doesn't looked like a senior community, it looked like just a regular apartment complex. It had a pool in the middle of the complex. It was extremely clean. They had a very nice theater room and it looked like a mini-theater. I was very impressed with that facility. The staff was very professional and very knowledgeable. The director was new to that facility, but had been working for the company for quite a while and there wasn't a question that we asked that he didn't have an answer for. He was very knowledgeable. I was more impressed here than the other facility we visited. We liked The Palms. 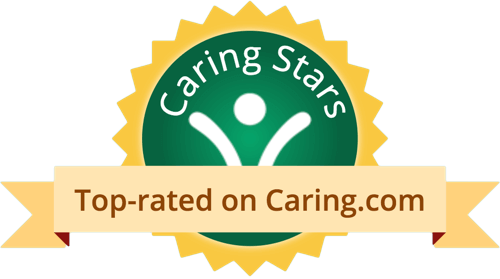 The staff seemed to be very pleasant people: cooperative, helpful, and friendly. I’m not real thrilled about the location of it, but they have a reasonable price. The place was well-maintained, and it was clean. They have nice bedrooms. You could cook or go to the restaurant. The dining area is not upper class, but we’ve eaten there a few times, and the chef is a good cook. Palms of Lake Spivey is very nice. I visited this facility and was greatly impressed with the atmosphere. The 2 bedroom apartments were spacious with great closet space. There is a outdoor pool on site, a theatre, a billiards room, activities for happy hour, religious services, exercises, physical therapy, and other services. The residents attend off-site activities such as plays, concerts, movies, etc. The Staff is wonderful and very attentive to the residents and quests. They were very nice too and very professional. I ate a meal there and the food was delicious. The dining room was very exquisite. They have indoor and outdoor activities. They go on trips to different places. They have musical concerts on the premises and a lot of different activities. I would love to move into this facility except it's a little pricey for me at this time. Everything was nice and new at The Palms at Lake Spivey. We really liked the facility. The lady who gave us the tour was great and very helpful. We were able to see several rooms and they were nice. The apartments were private which my mother wanted. They have physical therapy and provide two meals. My Mother has been at The Psalms for about 4 years. Overall, I have found that it is a good place for seniors to live. It is spacious, well kept up, and alot of activities for the residents. The staff are friendly and polite. The only real complaint my mom has had consistently has been about the food. The Palms at Lake Spivey was in a great location. Their rooms were spacious and nice. The staff were extremely helpful, pleasant and very informative. They have all amenities there, like a hair salon available in the premises. They have an abundance of things that residents can do like barbeque and cook-outs. They also have bingo games. They have a dining area where people can go dine together. It was an excellent facility, however, it's beyond our budget. The Palms at Lake Spivey was a beautiful facility. I was very large and very beautiful. It is a newer facility and is nicely maintained. The rooms that I visited are very large and spacious and provide lots of room to move about. They all had built in kitchens and also decorated their rooms any way they liked. The freedom that the people where able to enjoy really made going there an enjoyable experience. I think that a amenity that most of the people there seemed to enjoy was the activity center where large numbers of residents gathered to play bingo and spend time together. They also many other amenities almost to many to list here. I also think that one thing the people enjoyed was the activities that are always going on and allow and encourage involvement by the guests. I would absolutely recommend the facility to anyone who is looking or is planning to go to one soon. The facility is very clean and feels like an apartment. They have a mixture of assisted living and living that is less than fully assisted, where nurses are available if necessary but not on hand around the clock in the apartment. Because of this mixture, the facility feels very lively and active. They have an on site cafeteria with high quality service and good food, and the caretakers remember family member's names. It's a very nice facility. this is one of the facilities i volunteered for three my church. i volunteered three days straight and observed many things. the employees were friendly and very professional. i saw an employee reading and sharing her family photo album with one of the seniors. i myself talked with a few seniors and observed rooms that were clean and very neat. soon as breakfast, dinner, or lunch was over there were staff there immediately emptying trash and cleaning trays. many of the seniors were also in the swimming pool which had 3 lifeguards and employees keeping a watch to make sure everything was safe,not only that but i saw some seniors were doing aerobics also. One of my relatives lives in this facility, and I visit occasionally (every few months). I like many aspects of The Palms -- the people are nice, the staff is exceptional and really seems to care about the residents. The one huge drawback though (which explains my 3-star rating) is the food. It is terrible. The quality is very low (never a nice steak) and the food is not prepared well. Palms of Lake Spivey was a nice quiet place, kind of off the beaten path. My mom liked the atmosphere of it. It's a little pricey, but they all are nowadays. The staff was all very nice and professional. They have beautiful grounds. They have the gardens, a barbecue area, and a swimming pool. The location was nice and the menu looked good. We have been with The Palms (Palms of Lake Spivey) since January. The place is wonderful and the people are great. The staff and the people are really good. We couldn't complain about them except for the price, specifically what we're paying and what we're getting. The facility itself is great. They have activities too -- we don't participate in a lot of them, but it is a nice community. They have a beautiful swimming pool, a rec room, and a movie room. The place itself is OK, except for the food. Their cook is terrible. We get two meals a day, but they're not edible. The pricing is high and then we have to buy extra food on top of that. Palms of Lake Spivey was a very gorgeous facility. They had numerous activities. The tour I had was excellent. You can do anything you want to because this is an independent facility. The far side of the building which you never see are the assisted people and the hospice people. You never see them, you never cross their paths. They have a swimming pool, walking trails, game rooms, pool tables, libraries, conference rooms, everything you will need. The decor in the dining hall was like the Waldorf in New York. I’ve just moved into The Palms of Lake Spivey. It is both independent living and assisted living. It is very nice. Everyone is very cordial, friendly and very efficient. I have only been here a month but most of the people have been here for a longer time. It goes from three years to eight years. With regards to activities, they offer anything you could think of that anyone from 55 or over would want to do. If there is no cost to it, they take you to the mall or they take you to produce. They have bingo and billiards. They have outside activities. The staff is fantastic. I sit around and meet with different people. We would get our meals, breakfast and lunch. The place is not just a room; it is a regular apartment. It has everything. It is a very classy place. We went to visit Palms of Lake Spivey. It went great, we loved it, and that was where we would like to go. My wife fell again and hurt a rib really badly, and my son said, “No, dad. Get her up here because if something happens to you, I don’t want mom alone down in Atlanta.” It was pleasant and clean. Everybody was friendly. They had an apartment available or would be available because they were remodeling it. They invited us to stay for a Valentine’s dinner which was for couples only, and I was surprised of how many men were there at the facility versus other facilities we visited. We were looking for a 2-bedroom apartment with 2 baths, a full kitchen, and at least one meal a day. They seemed to have everything we were looking for. My father-in-law is at The Palms at Lake Spivey. We chose this facility because of its location. Their pricing is reasonable. The staff has been good. He is in his own apartment, and it is great. They come in and clean the place once a week. It is all part of the package. I loved the Palms of Lake Spivey. It had a very homey feeling. It was a nice place, and the residents didn't appear to be just sitting around doing nothing. It seemed there was enough there to keep everyone occupied. The few people that were in the little lobby area were actually going on a trip. Their cafeteria was set up like a restaurant. They had a menu, and someone brought out food to the residents instead of like a lunch line, so it was set up more like a country club. The rooms didn't look like studios; it was like an apartment. Anybody can go there and feel like they are at home. They have a salon, a pool, and a game room if you want to shoot pool. If the residents want to cook, they have full kitchens, and it is not like a little tiny apartment. Everyone looked happy. They had a lot of veterans, which was important to me, and everyone spoke and it wasn't like you had a whole bunch of people sitting around in wheelchairs just looking. And, the staff seemed to genuinely care about the residents. I would absolutely recommend that place to other people. I would live there myself. I was able to visit The Palms at Lake Spivey, and if I was interested in living in a facility, I would go with this place because it has anything that you could possibly want. They have a game room, a library, and a gym room. They take the residents shopping twice a week, and they also have a movie theatre in there. They also have a facility where they can accommodate residents' guests so that when they come to visit there, they don’t have to be in a hotel room. The best facility so far that is within my range is The Palms at Lake Spivey. It is very clean and very nice looking. It is spacious especially the common areas. They have lots of activities and also spaces to carry out those activities. They have a theatre with a large screen that has theater seats, etc. Not only do they show movies there but they have TV shows over on the actual screen as well. I think that's very nice. They also have a common large barbecue area out by the pool. It is quite large and it can accommodate family members coming and visiting. It is set up for pool parties if you want to do that. If they could just add an indoor therapeutic pool that would be a big plus for me personally. Escape from the ordinary at Palms of Lake Spivey. Located in Jonesboro, Georgia, The Palms is just minutes from Atlanta but offers you all the luxuries you want. Spacious apartments, a calendar full of activities and a dedicated, caring staff make it easy for you to enjoy life at The Palms. Whether you are looking for Independent Living or Assisted Living, The Palms of Lake Spivey will be the place you will want to call your own. What should caregivers and potential residents know about The Palms of Lake Spivey?